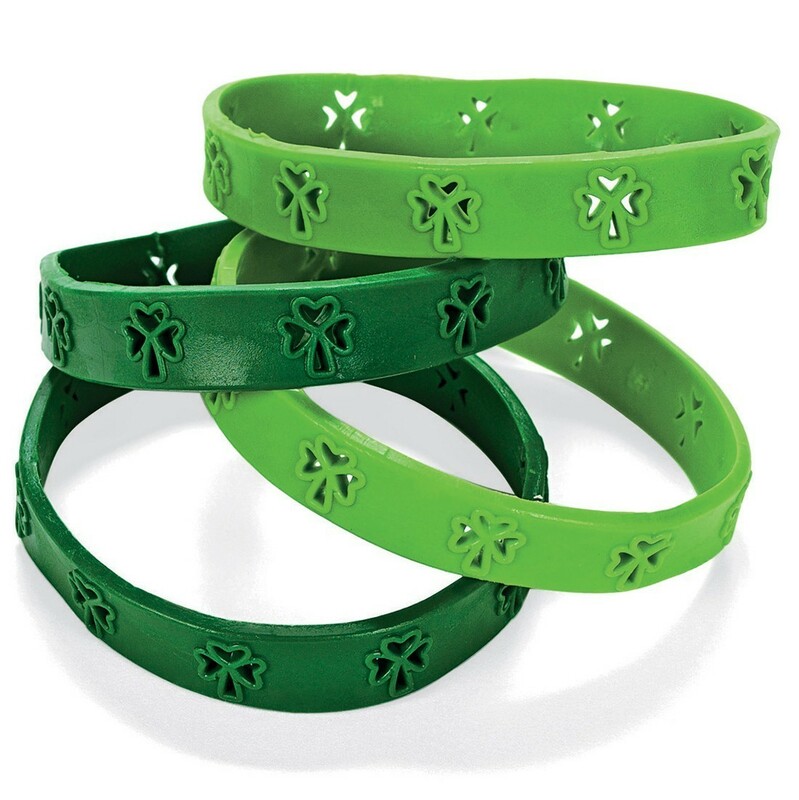 The luck of the Irish will be with you when you're wearing these festive shamrock bracelets on St. Patrick's Day! They come in assorted shades of green with clover cutouts along the length of the power band. Made of rubber.